HORWICH-built BR ‘4MT’ No. 76084 will continue to call the North Norfolk Railway (NNR) its home for the foreseeable future. 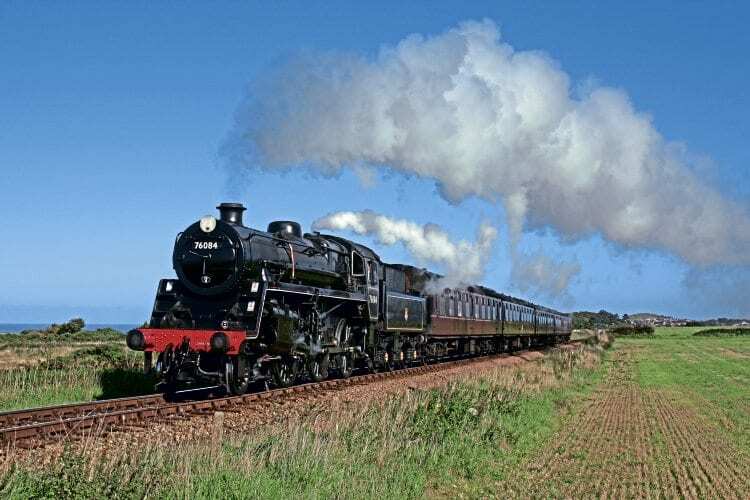 The news comes after an NNR supporter acquired a major shareholding in the 76084 Locomotive Company’s 2-6-0. The future of the 1957-built 2-6-0 was thrown into question at the end of September when long-term supporter John Oldcorn announced he wished to sell his 31% stake in the loco (RM Oct). The locomotive has been based in Norfolk since moving there from its base at Hepscott, near Morpeth, for the completion of its restoration in 2013. Once the as-yet unnamed benefactor made it known he was interested in acquiring the shares, NNR managing director Hugh Harkett acted as the liaison between the buyer and the 76084 Locomotive Company, successfully negotiating a deal for an undisclosed sum. Mr Harkett will now act as the benefactor’s representative on the board; the 247,532 shares mean the buyer can exercise an influence on the management of No. 76084.